The line-up of Classical:NEXT showcase programme for 2016 was revealed this week, and eleven artists from around the world will perform at the event in May in Rotterdam. This year Classical:NEXT introduces a brand new showcase programme called Re-Staged showcases. Five showcase concerts take place outside of the traditional concert setting, as chosen by PODIUM Festival's Steven Walter. Finnish Kalle Vainio, who performs as Project Vainiolla was chosen to perform on the Re-Staged showcase. 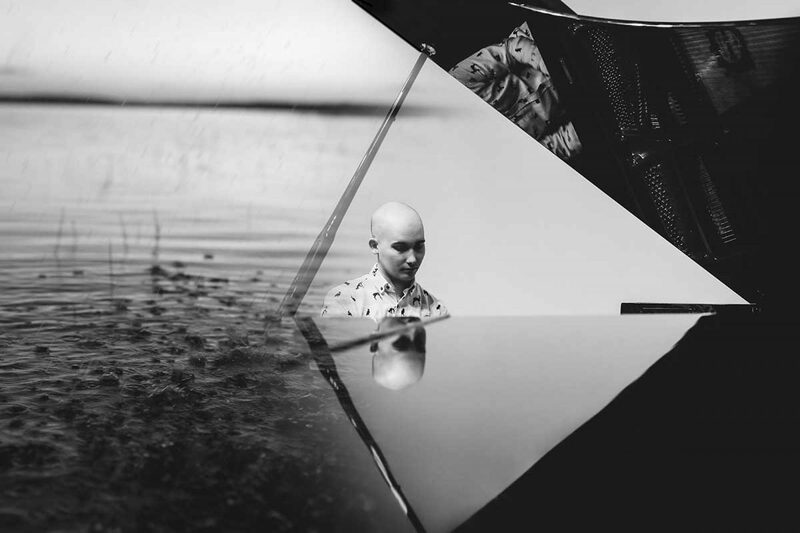 Vainio is a Finnish pianist and composer whose music is inspired by intensive minimalism and Nordic folk tunes. He released his debut album Animus as Project Vainiolla in 2015. We got in touch with Vainio. Read our interview with him below. Also the Classical:NEXT 2016 Innovation Award longlist was announced earlier this week. Among the nominees are Perttu Pölönen’s Musiclock and Meidän Festivaali (Our Festival). I was born in Karkkila which is a small town in southern Finland. I started to play accordion when I was six years old. I played it for seven years, but at the same time I was figuring out how to play piano and guitar as well. When I was a teenager I discovered Steve Vai and his weird music. I was fascinated by it and I wanted to create something similar. Difficult task I might say. First compositions I composed was with electric guitar and I wanted to record it as well, so I started to build my own home studio. If I remember correctly I recorded four albums, playing keyboard, guitar, bass and drums by myself. Most of the pieces were based on improvisation and that’s still one of the most important composing tools I use daily. At the age of 18 I began to discover contemporary music by Aulis Sallinen, Heikki Valpola (who is a composer from Karkkila) and Kimmo Pohjonen. Music was the only thing I wanted to do, so I applied to the Sibelius-Academy folk music department and I was accepted. There I took my first piano and composing lessons. I took my studies at the Academy seriously and I wanted to improve my skills as a composer and performer to the best. Fortunately I had excellent teachers who gave me good amount of challenge and guidance. After seven years of intense studying I graduated as a master of music. It’s interesting to notice how diverse the scale of your works is: you’ve written chamber music and compositions for symphonic orchestras, but you also play in an indie pop trio and write music for documentaries. Overall, how do you identify as a composer when working in so many fields? Music can be many things, but it’s still based on the same language. You just have to know the basic techniques how to write music for example for symphony orchestra, then you just do it and learn from it. That is the most important thing I guess. I actually identify myself simply as a composer. I think there is a new wave of composers and artists arising who are doing different things. That’s because music is so easily reached and by that people inhale their cocktail of artistic influences. Project Vainiolla focuses heavily on minimalism, and on the album Animus piano is almost the sole instrument. When playing live performances, do the arrangements differ drastically from the ones heard on the recording? Yes, I think Animus is mainly a studio album, but when I perform it live I use modern technology such as an iPad or a small keyboard to help to create same atmosphere as in the album. Do you have different methods for composing for different projects? Absolutely. When I compose for other musicians it depends what kind of musicians they are. If they like to play strictly by the score, then everything has to be written down on the score, but sometimes musicians are able to improvise on chord progression or just with a melody. Your music has been featured in documentaries and you’ve composed pieces for YLE. How do you approach the writing of music for visual medium? Do you have more plans regarding this field? I like to create lots of music in short period of time and then to play with those ideas for a moment. Directors have been pleased with this method also, because they can have demo music in quite early stage that helps the editing and cutting process of film. I have often heard that my music communicates well with moving image. I really enjoy creating music for films as well. It’s another kind of challenge and it gives my music new depths. What will the showcase in Classical:NEXT be like? What are your expectations for the event? I was truly honored that my project was selected to the showcase series. The Re-Staged Showcase is actually a totally new thing so it’s really exciting to see and experience. My showcase will be mostly based on my music video "It Flows". Steven Walter (ECHO price winner) will be organizing the presentation show, but I don’t know yet what it will be like. I really look forward to it! Are there any upcoming plans with your indie pop band WOUD? Yes definitely. We have recorded a new album and it will be released later on this year. I’m teaching music daily in various places such as Sibelius-Academy, so it takes quite a lot of my time. Despite that, I’m currently mixing and editing a new Project Vainiolla album Metamorphosis and composing new music for a documentary film.